Tomas Satoransky scored a career-high 19 points to go along with six assists as the Wizards beat the Magic, 115-98, dropping them for the third time this season. All five starters scored in double-figures and the “everybody eats” model held true again tonight as the Wizards combined for 35 assists on 46 made field goals. After enjoying a lead for the entire first quarter, the Magic made a run early in the second period with all Washington reserves on the court. Tomas Satoransky checked back into the game at the 3:31 and that flipped the tide. Washington ended the second period on a 12-2 run upon Sato’s return as the Wizards held a comfortable 56-47 lead at halftime. The Wizards outscored Orlando 31-22 in the third period behind eight points and five rebounds from Marcin Gortat and some knockdown three-point shooting from Satoransky as Washington would blow this one open and never look back. The starters got a rest in the fourth quarter and the ‘human victory cigar’ in Chris McCullough scored a bucket late as Washington would cruise to a 115-98 victory. As mentioned, Tomas Satoransky scored a career-high 19 points on 7-9 shooting including going a perfect 3-3 from long range. He added six assists and two steals only coughing the ball up once all while locking down Elfrid Payton, a guy who’s torched the Wizards this season. Sato was outstanding tonight looking to get others involved first and then staying within himself when looking for his own shot. 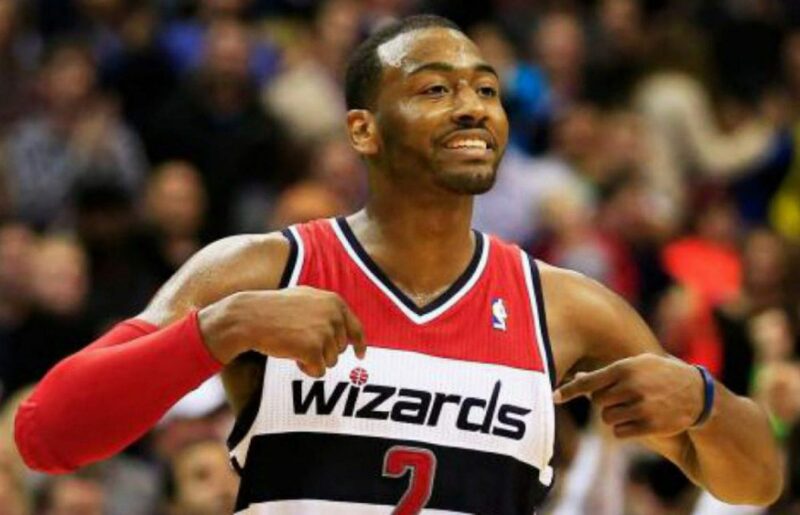 He pushed the ball in transition whenever the Wizards had numbers resulting in easy baskets and even two three-pointers for him as he was wide open on the wing. The tide turned for the Wizards at the 3:31 mark of the second quarter as Satoransky re-entered the game and forced a turnover right off the bat resulting in an easy basket for the Wizards. Bradley Beal was outstanding tonight finishing the game with 18 points, eight assists, and eight rebounds all in just three quarters of play. Unfortunately for Beal, the Wizards had such a large lead heading into the fourth quarter so there was no need to put Beal in and chase that triple-double. Everything was working for Beal this evening. Nice assists to get others involved? Check. Slicing through the lane and finishing over the trees at the rim? Check. That lethal step back? You bet. This was another All-Star worthy performance from Brad in just 31 minutes of play. Up Next: The Wizards have a very tough week ahead of them starting in Indiana against the Pacers on Monday night.